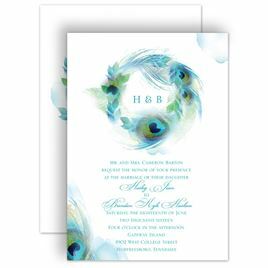 Soft, beautiful, refined. 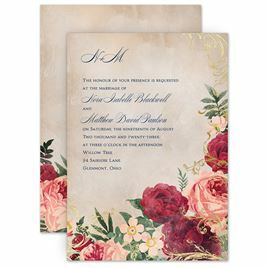 Blush wedding invitations are so very romantic, and your wedding guests will be delighted to receive them. 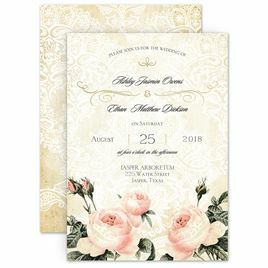 The color blush is a touch lighter than pink and has a delicate quality that lends itself well to an elegant wedding style or a country charm theme. Are you more interested in other shades of pink? 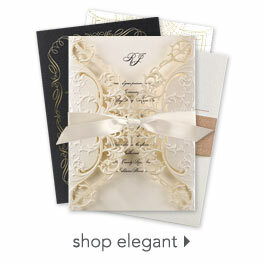 Shop our collection of pink wedding invitations to find the perfect color.